Anne Brooke has been writing for eighteen years and is the author of seven novels, numerous short stories and poems. She was shortlisted for the Harry Bowling Novel Award in 2006, longlisted for the Betty Bolingbroke-Kent Novel Award in 2005, and shortlisted for the Royal Literary Fund Awards in 2004 and the Asham Award for Women Writers in 2003. In addition, she has twice been the winner of the DSJT Charitable Trust Open Poetry Award. 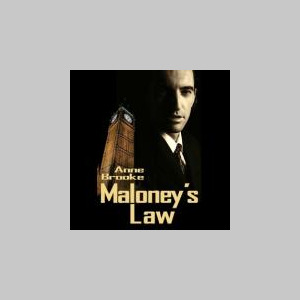 Her gay crime novel, Maloney’s Law, is published by PD Publishing and available from Amazon. In addition, another gay crime novel, A Dangerous Man, is available from Flame Books, and her romantic comedy novel, Pink Champagne and Apple Juice, and her crime novel, Thorn in the Flesh, are both available from Goldenford Publishers. Thorn in the Flesh and Pink Champagne and Apple Juice are also available as eBooks from Amazon.com and Mobipocket. Her work is represented by the John Jarrold Literary Agency and she is a closet birdwatcher. More information can be found at www.annebrooke.com or at www.myspace.com/annebrooke. She also keeps a terrifyingly honest journal at http://annebrooke.blogspot.com.